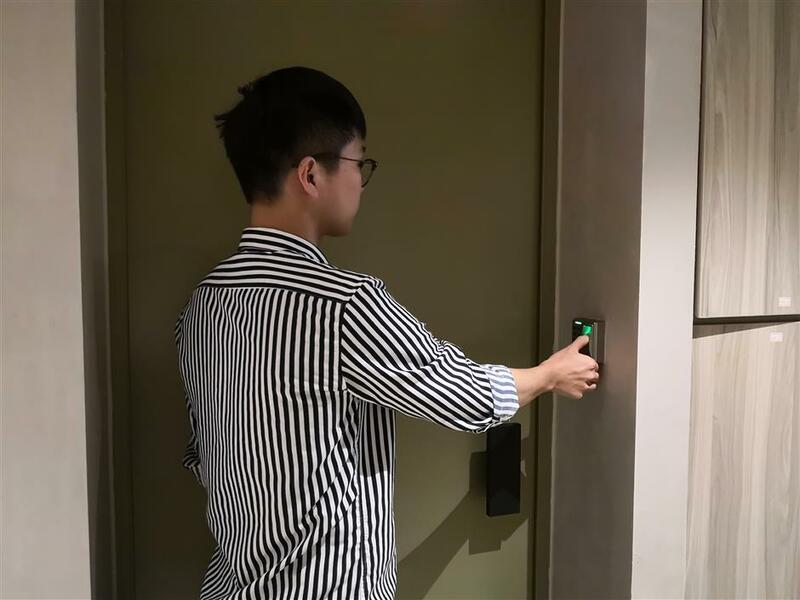 A number of universities in China have turned to biometrics to support access control to academic and residence facilities, and a new dorm at Shanghai Normal University is taking this biometric access trend to another level. As reported by Shine, Shanghai Normal’s newly renovated 6th Dormitory building has seen a dramatic facelift on the outside, but it’s the internal upgrades that have been the most impressive. 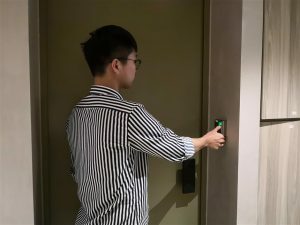 Student residents now enter the dorm via facial recognition technology by passing through scanners and electronic gates. Fingerprint access at interior dorm room door. Anyone whose facial biometric or personal information has not been enrolled in the dorm’s database cannot enter the building. Once inside the hall, students can then use a fingerprint to enter their dorm room. The residence has been completely outfitted with new technology, and beyond the biometric upgrades now includes QR code-scanning for laundry machines, and a touchscreen in the lobby where students can request repairs.